Lightly coat Oreos in butter. This will make up the bottom layer of your cheesecake. Layer a small cheesecake pan with them! In a large bowl, blend cream cheese and Netella with a hand blender until light and fluffy. 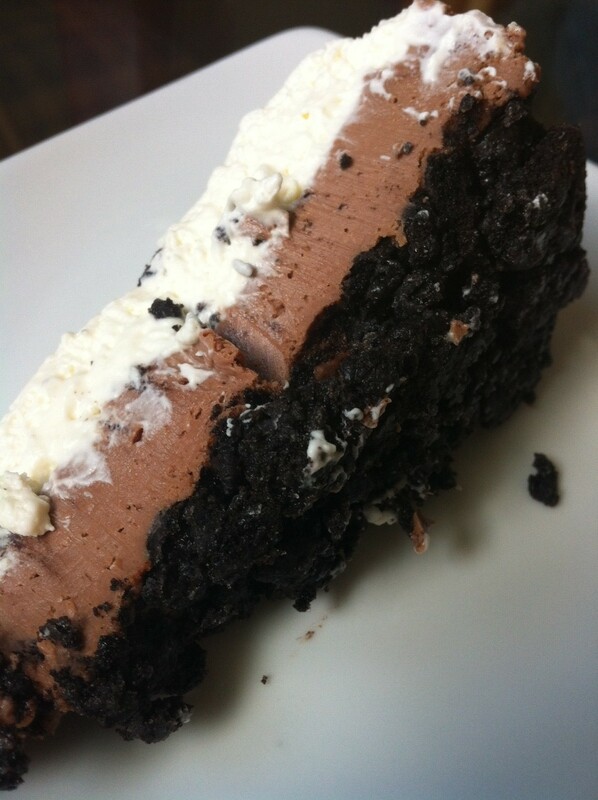 This is your second layer, so layer it over your crushed Oreo crust. Cover the cream cheese and Nutella mixture with the shredded white chocolate. In a large bowl, blend together whipping cream, sugar and vanilla with a hand blender until it has the consistency of whipped cream. This is your top layer! Cover and put in the fridge for 2-3 hours until the cream cheese has hardened up again.